Bayer Leverkusen goalkeeper Bernd Leno has signed a contract extension through to 2018, the Bundesliga club announced on Friday. “Bayer 04 Leverkusen took me on as a 19-year-old third division keeper and turned me into the number one at a club in the Champions League. "I was really impressed with the massive vote of confidence back then and I'm incredibly grateful to the club for that," said Leno, who kept a clean sheet in his side's goalless draw away to Shakhtar Donetsk in the Champions League in midweek. The 21-year-old Leno's existing deal was due to run out in 2017, and Leverkusen sporting director Rudi Voeller was pleased to see the highly-rated 'keeper commit himself to the cause for an extra season. "The lad is one of the best keepers in Germany as he proves week after week. For a goalkeeper of his age, he has an incredibly cool head and he doesn’t allow anybody or anything put him off his game. When you remember he still has great potential due to his age then this deal is brilliant for us," Voeller said. 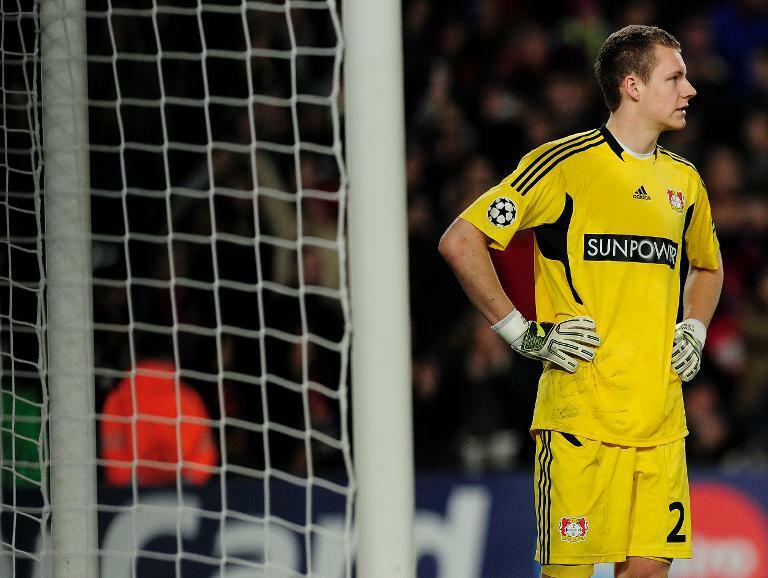 Leno was third-choice 'keeper at Stuttgart when Leverkusen recruited him in 2011. In extending his contract, he follows in the footsteps of Germany midfielder Lars Bender, who recently signed a deal keeping him at the BayArena until 2019. Leverkusen currently sit third in the Bundesliga, four points behind leaders Bayern Munich, before facing Hamburg at home this weekend.